Two-year olds love their books. 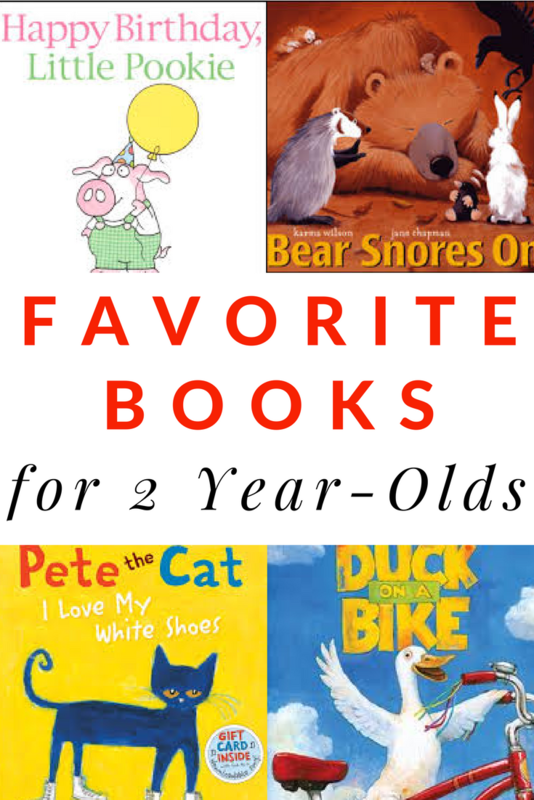 They have many that are on constant repeat.But, what are the best books for 2-year-olds? These books for toddlers have been read at least 100 times when my kids were two. Books for kids in this age bracket span from board books to more elaborate picture books. It is so amazing to see the attention span of a two-year-old develop over the course of the year. We will start the list with the shorter board books and move our way up to more sophisticated titles. 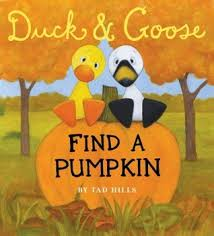 Duck and Goose Find a Pumpkin by Tad Hills is by far our favorite Duck and Goose book. It is so simple, but so engaging. The two birds would like a pumpkin and set out to find one. They look in a variety of places before Thistle suggests the pumpkin patch! My son has been drawing pictures of duck and goose and telling stories about the two characters daily. 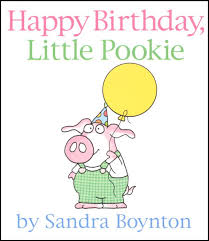 When my son turned two, he loved all Sandra Boynton books especially Happy Birthday, Little Pookie. In the book, the daddy makes piggy pancakes for a birthday breakfast. Ever since my son has listened to the book, he has asked for his daddy to make piggy pancakes for him every Saturday. Boynton’s books are great for the 0-2 crowd! 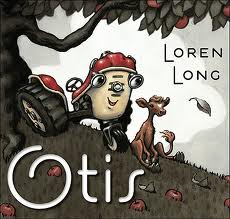 Otis by Loren Long is a gorgeously illustrated book about a friendly tractor who is pushed aside when a shiny new tractor is introduced to the farm. But, when Otis saves the day, he’s value is rediscovered. We’ve also enjoyed Otis and the Tornado and Otis and the Puppy. This Christmas we are looking forward to An Otis Christmas. 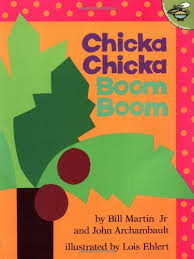 Chicka Chicka Boom Boom by Bill Martin is rhythmic tale of the letters of the alphabet climbing up a coconut tree. When all the little letters fall down, their mamas and papas, uncles and aunts are there to help to them up. Did the little letters learn their lesson? This books has inspired lots of alphabet reading activities in our house. If it’s a book about Clifford, we’ve probably read it! It’s fun to reread these with my boys because I remember them from my childhood. 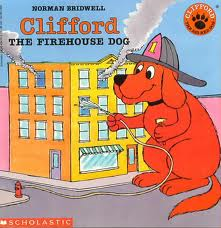 If forced to pick a favorite, we’d probably recommend Clifford the Firehouse Dog by Norman Birdwell. Do you remember Clifford? I think I enjoy Snowmen at Work by the Buehners just as much as my son does! The illustrations are so vibrant and fun. We were on a big snowmen kick for most of the winter last year, so this one was in the rotation quite a bit. It’s a story about a child who wonders what snowmen do at night and a look at possible jobs they may hold. We also enjoyed Snowmen at Night and Snowmen at Christmas. 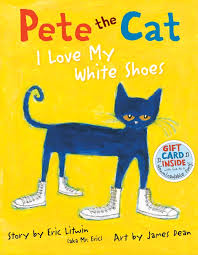 Pete the Cat: I Love My White Shoes by Eric Litwin has rhythm and rhyme. Two qualities that are important in books for young children. We love most of the Pete the Cat books, but this is the one that I most often hear my son recite lines from! As Pete travels down the street his white shoes get dirty when he steps in blueberries, mud and more! But, does Pete worry? No, he just keeps singing his song! I’m not sure what the fascination is with ducks, but my son loves books about the water fowl! 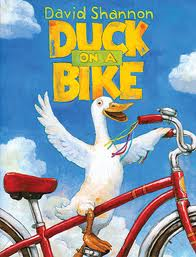 Duck on a Bike by David Shannon is a silly story about a duck who convinces all the other animals on the farm to go for a bike ride. If you have a duck lover too, we also recommend Super Duck by Jez Alborough. 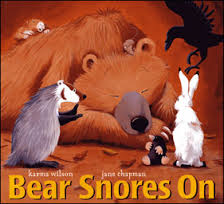 Bear Snores On by Karma Wilson is the story of animals who gather for a party in bear’s cave while he sleeps. When he awakes, he is startled and disappointed that he has nothing to contribute to the party. But, his friends point out that he does have a contribution to make! We also enjoy all the other stories about Bear including Bear Wants More, Bear Feels Sick, Bear Feels Scared, and Bear Stays Up for Christmas. Actually, we’ve enjoyed most of Karma Wilson’s stories! 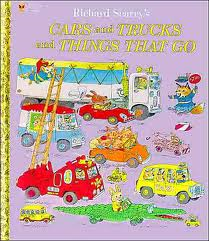 Richard Scarry’s Cars and Trucks and Things That Go will be a title that we keep forever! My son was a late talker (26 months) and this is the book that sparked the light bulb for his speaking! One evening, we were on the page where all the cars run over nails in the road. He pointed to the page and said, “flat tire”. The next day he was saying everything under the sun! I will admit that I’ve hid the book a few times because it is very long and there is so much happening on each page! We can easily spend 30 minutes with the book in one sitting. *If you are interested in reading more about my son’s vocabulary development, check out my post, Vocabulary Learning (Lessons from my 2 Year-Old). Grab a printable list of the books shared above. Just click the button below to download. Check out our favorite book lists. When my daughter was that age she couldn’t get enough of Cars and Trucks and Things That Go! We are keeping it together with some other favorites for the next generation! Happy birthday to your boy. What a fantastic list! I LOVE Pete the Cat, and anything by Richard Scarry or Sandra Boynton. This is a great list of kids books. 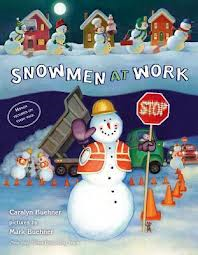 I LOVE the storybook ‘Snowmen at Work’. And the Clifford storybook series is always a hit since I grew up with big red dogs 🙂 Thank you for sharing and for linking up this week to the Thoughtful Spot Weekly Blog Hop. Great list with some that I need to check out. My kids loved Richard Scarry’s books, Chicka Chicka Boom Boom and of course Bear Snores On. Thanks for the book list! Found a couple new ones! We love Pete! Thanks for sharing at Mom’s Library. I must say Duck and Goose have been a MAJOR hit in our home 🙂 But the list has many of our other favs too! Thanks for a great list Jodie.. I shared this on twitter. Thanks for your book lists. As an elementary educator, I too, realize the importance of lots and lots of reading quality books. But as a mom, I find it almost overwhelming to choose good children’s books. I feel like I should spend more time than I can sifting through all the available titles to find the quality ones. So thank you for your lists. We have some of the ones you mentioned (like I recently stumbled upon Duck and Goose Find a Pumpkin, and we LOVE it!). We’ll be sure to check out some of the others. Thanks Tiffiny! There just aren’t enough hours in the day to do everything we want to do to be the best parents and teachers. I’m glad I can make finding books for your kids a bit easier. Enjoy! This is a great list. So many of my son’s favorites on here (he’s turning 4 in a month). Good reminders of what I should take out again for my daughter, since she will be turning 2 soon. Thank you for the list! This is a great list…my kids love Duck on Bike too! Thanks for sharing!! Right now Duck and Goose Find a Pumpkin is in heavy rotation for the Littles (not quite 2), and all my boys love Cars and Trucks and Things that Go. That gets read pretty much every day by someone! Thank you Tracy! It’s nice to have multiple people in the house who will read Cars and Trucks an Things that Go because it can be a long read! Good list! There are many here that I haven’t read, and a few good ones that we love. Duck on a Bike is a recent love and Cars, Truck, and Things that Go has been a longtime favorite. Can’t wait to read the other ones! Thank you Amanda. It looks like Cars and Trucks and Things That Go is a favorite on lots of readers lists! It really is a classic! What a great list. We love Duck on a Bike and Chicka Chicka Boom Boom too!